You don't even know how proud I am of this recipe. 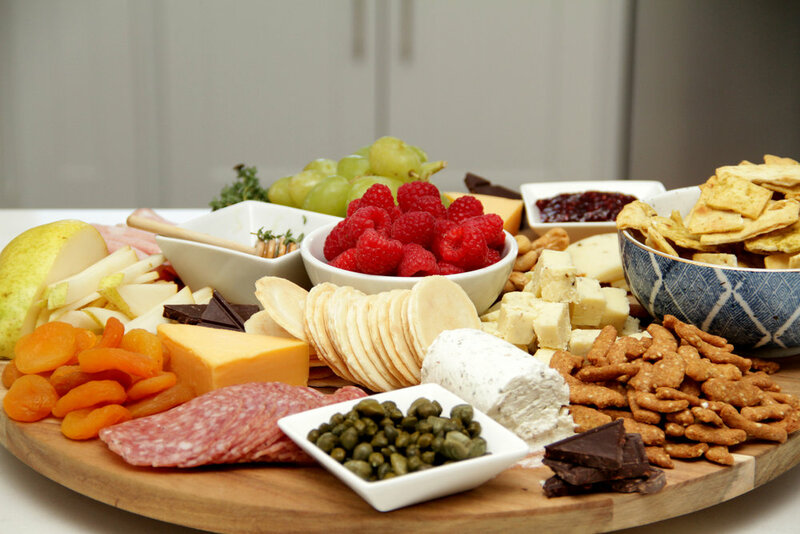 I consider myself the queen of dips, the master of appetizers and love greeting my guests with a snack as soon as they arrive. So when we invited our friends over who are vegan, I was met with a bit of a challenge. I couldn't make my go to buffalo chicken dip or my massive cheese & meat boards. So....instead of serving veggie sticks I decided to attempt my own homemade vegan queso. I've had cashew cheeses before and always liked the flavor and texture so I decided to start there. This "queso" has everything its traditional counterpart has including heat, gooey goodness and flavor. I served it with all the fixins for nachos: homemade salsa (recipe to come! ), homemade guacamole (I'll write that one up too! ), roasted corn, black beans and jalapeños. For my meat substitute I chopped sweet potato and mushroom and sauteed it in homemade taco seasoning until soft. The entire meal was delish! If you want more cheesy flavor & color (none of my photos are ever photoshopped cause I don't know how (insert laughing emoji) just add a bit more nutritional yeast. Soak cashews in cold water overnight or in hot water for a few hours before making recipe. Drain before using. Into a high powered blender (like a Vitamix), add soaked & drained cashews, tomato paste, cumin, garlic powder, seasoning salt, hot sauce and 3/4 cup water. Blend until smooth scraping down the sides as needed. Add water in 1/2 cup increments until desired consistency. Add salt and other seasoning as needed. I served my queso with salty sweet potato chips so I didn't need to add more salt. Over the weekend we had the opportunity to celebrate the first cookbook behind the the whole foods baking company, Sweet Laurel and what a sweet treat it was! Milly LOVED the Lemon Cake. All of their recipes are grain free, dairy free, refined sugar free, paleo and many are also gluten free, vegan and raw. If your eyes are glazed over simply by reading those words and you're tempted to exit out of this post, stop! The cake you clicked on is most of those things AND delicious. That wasn't just click bait. Would the queen of sweets every steer you wrong? When done well, none of those things have to be bland and flavorless. In fact, when done right, it can be absolutely divine. That's what's so amazing about cooking and baking and the power of creativity when combined with fresh ingredients. The story behind Sweet Laurel is one of necessity. 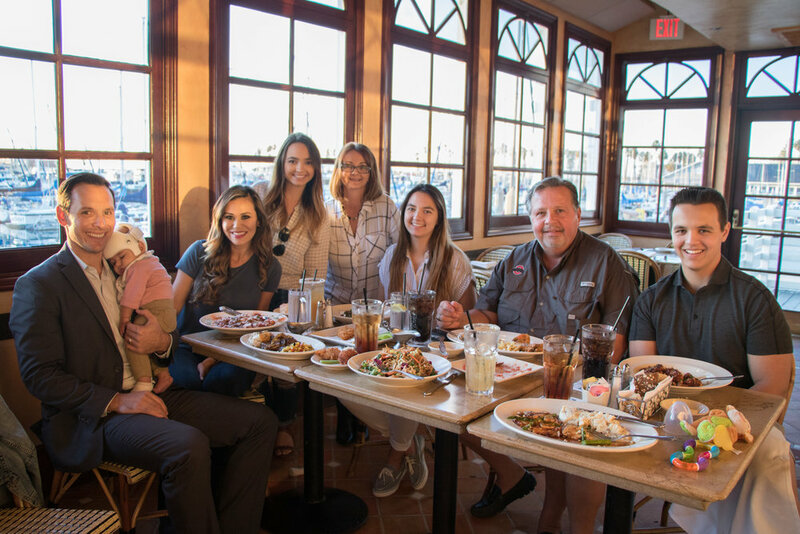 When baker, Laurel Gallucci was diagnosed with an aggressive auto-immune disorder and put on a strict elimination diet, she started experimenting with ingredients she could eat so she could still enjoy the sweets she loved without having to sacrifice flavor. Because just like most of us, usually gluten free desserts are bland and better used as paper weights. Using simple, whole ingredients Laurel was able to create baked goods that are tender, moist and full of flavor. Some of them are so simple, they're only five ingredients or less. 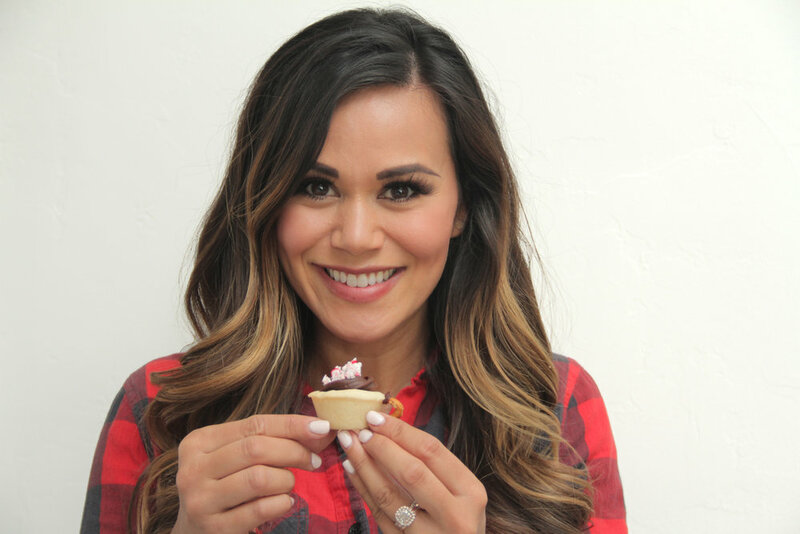 From there, she partnered with friend Claire Thomas of Kitchy Kitchen and created the Sweet Laurel brand. I've already flagged plenty of the recipes in their new cookbook, Sweet Laurel including Summer Strawberry Tart, Vanilla Bean Peach Cobbler and Double Dark Chocolate Cookies. With summer right around the corner, I can't wait to try them. Congrats girls! For the recipe to Sweet Laurel's Classic Vanilla Cake go here. Adobo was one of my favorite recipes growing up as a kid. It's flavorful, comforting and so delicious. It's also one of those recipes that tastes like it's been cooking all day but it only takes about 15 minutes to prepare and about 45 minutes to cook. So if you stop what you're doing right now and make this, you could be eating the most iconic Filipino dishes in about an hour. Scroll down for my Mom's recipe and watch the video here. Into a pot set on medium heat, add your oil and onions and saute until translucent. Add garlic and cook for a few minutes. Add in the all of the remaining ingredients and bring to a medium high heat and cover. Leave cooking and covered for 45 minutes. Do not remove cover. Serve with white rice and more soy sauce. This is one of my absolute favorite snacks that you can enjoy anytime of the day. This recipe was inspired by me always ordering something similar at my favorite coffee shop but it became a $12 habit when I knew I could make it at home for a fraction of the cost. I pretty much keep all of these ingredients on hand so it's super quick to make whether for breakfast, lunch or linner! Skip the salmon and you still have a ultra loaded avocado toast! Heat a skillet on medium high heat. 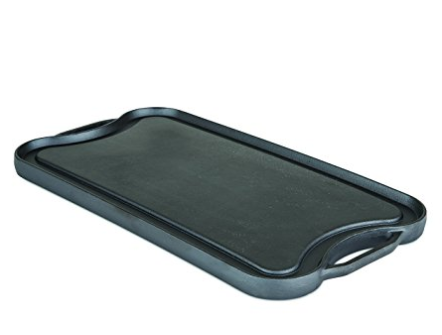 Butter your bread on one side and place it butter side down on the skillet to get it nice and toasty. Remove from heat and set aside. Spread the cream cheese on the bread. Next, place sliced avocado on top. Sprinkle with Everything But the Bagel Seasoning. Top with sliced smoked salmon. Garnish with sliced tomatoes and dill. 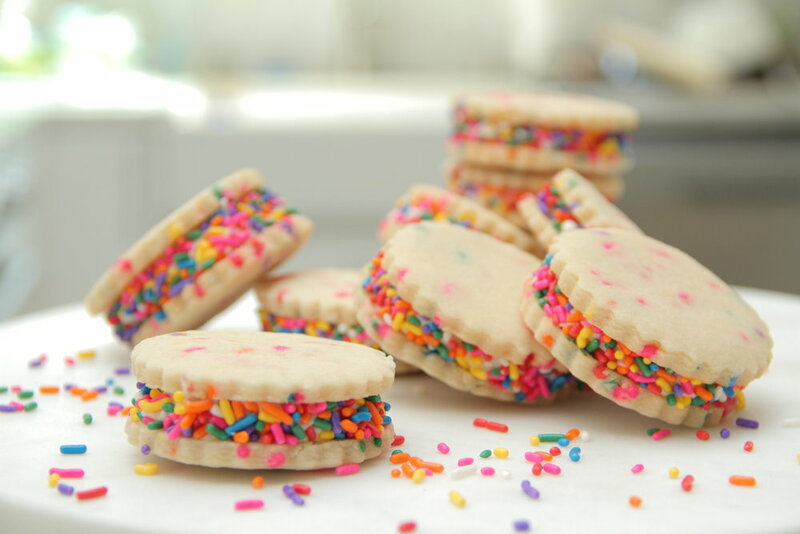 Sprinkle capers on top and enjoy! I love sending desserts as gifts-especially to people who are really tough to shop for and seem to have everything! Many of these were on our dessert table at our wedding and friends still talk about how much they loved every single thing. I get asked all the time what my favorite treats are around the country so I finally compiled my list of sweets that are so much fun to send and receive. Please note, these are in absolutely no specific order. I can't choose favorites because they are all so good! Also, I love that so many are owned by female entrepreneurs. Girl power! I crave these on a daily basis. The sticky sweet treats are cereal-ously delicious. My favorite flavor is their Salty Caramel Crispie but other favorites are Peanut Butter and Sugar Cookie. Started by a mother daughter team, Laura and Natalie, I just love them! I will never forget the first time I had Milk Bar. I had a slice of their 7 layer birthday cake. 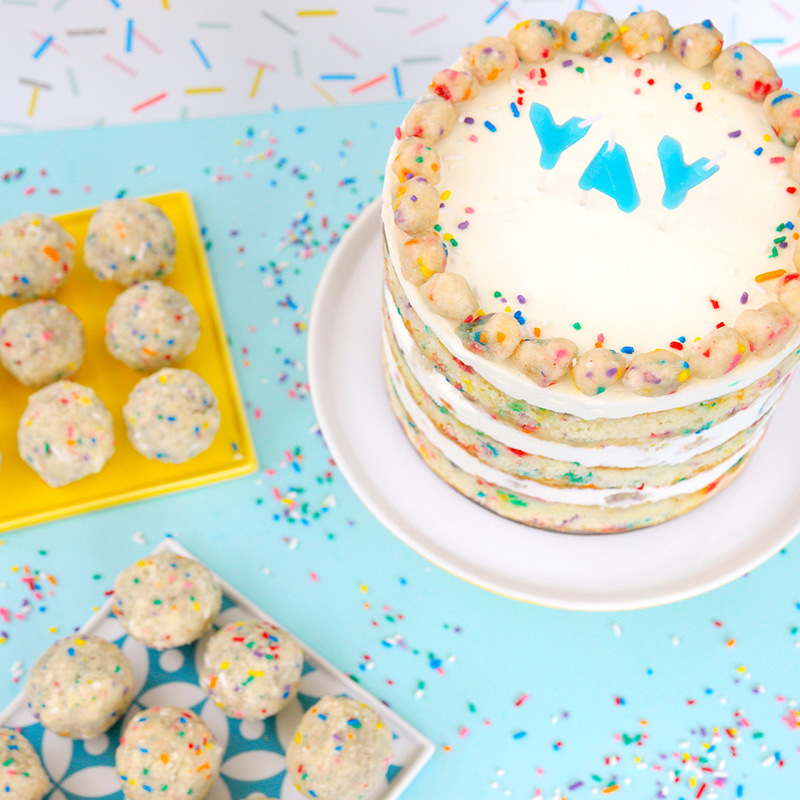 It's the yummiest, layered cake filled with cake crumbs that are almost like mini birthday cake truffles, sprinkles and vanilla frosting. Each layer of the cake is brushed with a vanilla milk "soak" that makes it super moist and delicious. 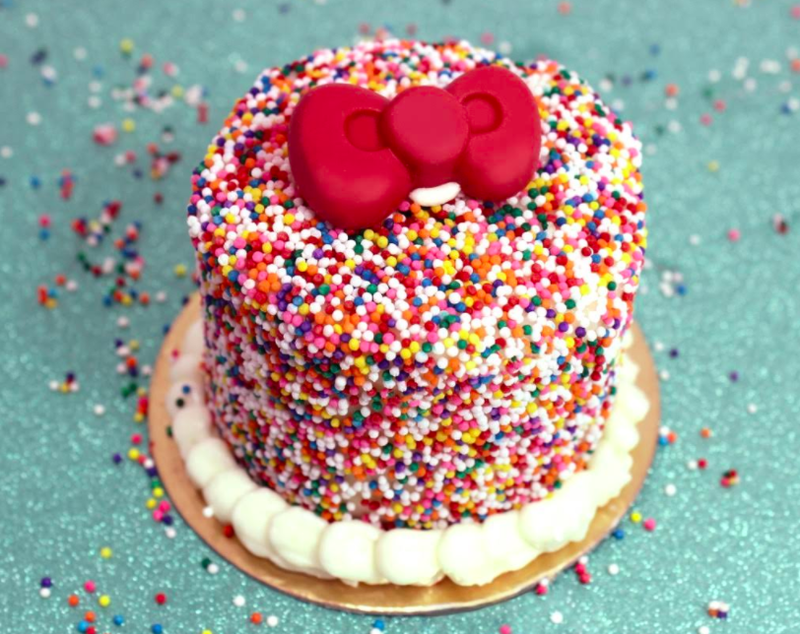 Chef Christina Tosi (who I have a major girl crush on btw) is the mastermind behind reinventing all of our childhood favorites. Other desserts I love from her: b'day truffles, confetti cookie, the list goes on. All-natural cookie dough that's safe to eat! 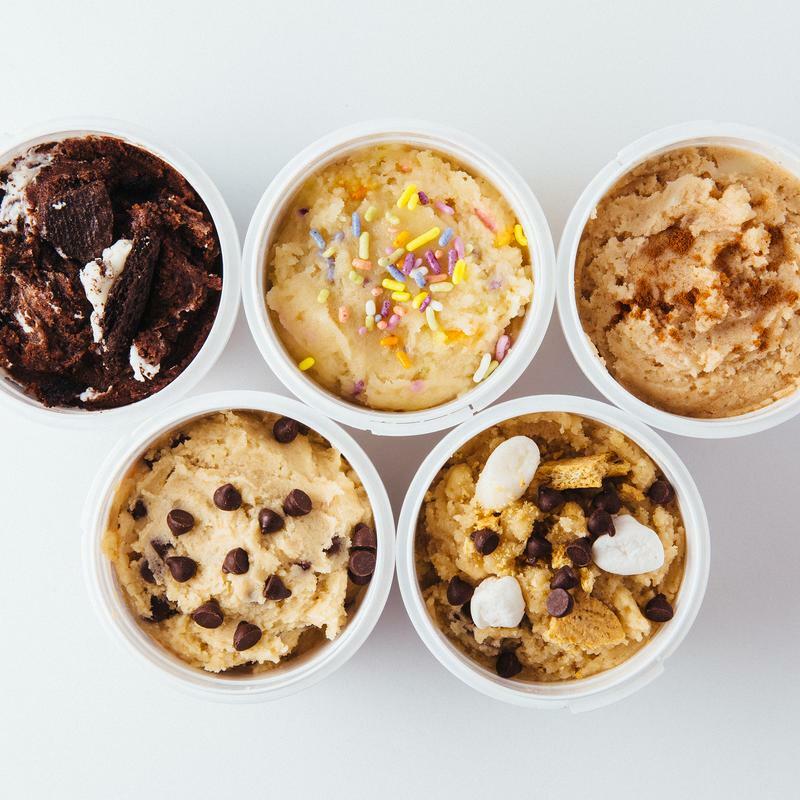 This edible cookie dough is a dream. Enjoy it on ice cream, cookies or just simply on a spoon. One of my favorite flavors is Cookies N' Dream. It's dark chocolate with vanilla frosting and chocolate sandwich cookies. Sometimes I even mix this with Peanut Butta Cup. This is what you bring to girl's night! 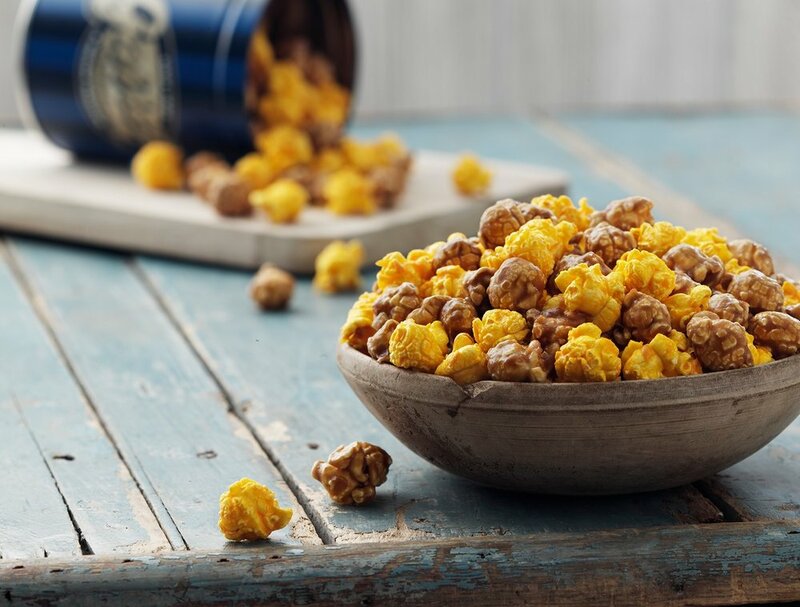 If you like sweet and salty, this popcorn is for you. It's half salty cheddar cheese and half buttery sweet caramel. I survived on this popcorn when I lived in Chicago. Even if you don't like popcorn, you'll like this. It's like no other popcorn I've ever had. It's light, fluffy, craveable and a great gift for anyone in your life. This is the candy shop of your dreams. 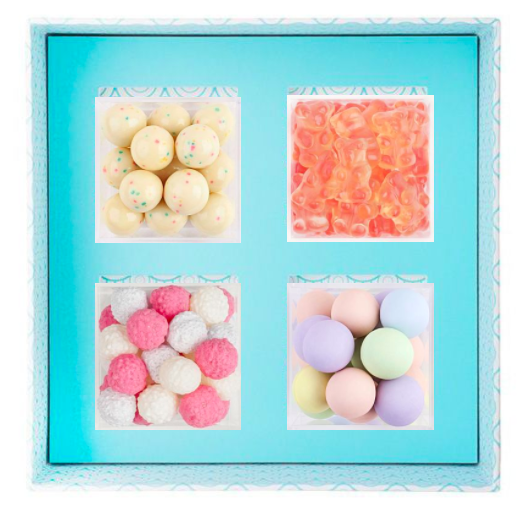 Sugarfina features delicious gourmet candy from around the world. Everything they have is extremely unique. Some of my favorites are their Atomic Sours imported from France, Champagne Gummy Bears from Germany and their Fruity Loops from Greece. Their store looks like a jewelry boutique with each candy housed in a clear bento box. You can create your own box with any of their 120 candies. Compartes turns chocolate into works of art. Their handcrafted premium chocolate bars are my favorite. 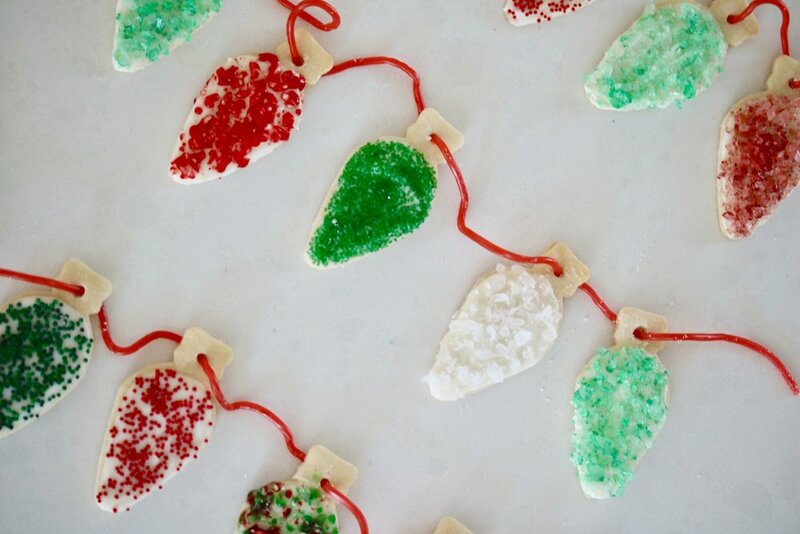 From the beautiful packaging to mouth watering flavors, it's a one of a kind edible gift. You're not going to find these flavor combinations anywhere else! From White Chocolate Cereal to Salted Pistachio, Dark Chocolate Raspberry Rose and Donuts and Coffee, there is something for everyone! My mother in law makes the most delicious raspberry jam. She gave us a jar once and we finished it off in less than a week. I started craving it like crazy. Every time I saw her I would ask if she made some more (which probably got annoying-sorry). It's just that Mr. A and I make breakfast every morning and typically it involves some form of jam so it's top of mind every day. And while I love buying fresh jam from the farmer's market, it can get pricey when it really is the simplest thing to make. Whether it's smeared on sourdough bread under melty brie, bacon and eggs (seriously-try it!!!) or simply slathered on a buttered biscuit-we are jam people, folks. This recipe is inspired by my mother in law's. It takes about 15 minutes to make and you only need two ingredients. If you're like me, I'd make a couple batches as back up cause it's so yummy you'll end up adding it to just about everything you eat. Place berries in stainless steel pot and bring to a full boil, mashing the berries with a wooden spoon. Boil for 1 minute on high heat, stirring constantly. Add sugar and continue to boil for 3-5 minutes or until thickened. Store in mason jar in refrigerator and enjoy! Being able to introduce our daughter, Milly to the TODAY Show family and the rest of the world during our segment on the TODAY show is a memory I will cherish forever. It's funny because when I was invited to be on the show I knew I needed to find someone to help with Milly. Our good friend, Maureen aka GMo traveled from Philly to NYC to help us out only for Aunt Hoda to hold Milly while I worked! Baby girl was so excited to be on set and comfy cozy in Hoda's arms. Check out the entire segment and the recipes here and then scroll down for more photos. Traditionally, ice box cakes are made with chocolate wafer cookies but I've given one of my favorite desserts a festive twist. Made with six layers of gingerbread, homemade whipped cream, and buttered toffee pretzels this cake is sweet, salty and perfect for the holidays. Get the recipe and watch my video on how to make it below plus head to the World Market blog for more of my favorite desserts this season. Cheese boards are the MOST EASY things to make. Whether you have an unexpected guest or you're hosting a party, they become the place where everyone gathers. I always have a couple key items on hand so that no matter what-I can host a group of people over in a pinch. Check out my video for inspo to create your own and then take a look at some of my hostess must haves. I've learned that the most perfect desserts never taste the best. This pie is rustic, real and every bit is delicious! I love, love, love fresh figs and enjoy them all season long but I think it's one of those fruits that can be intimidating to people if they don't know what to do with them. What I love about this dessert is it takes little effort to make but the payoff is huge. The light, creamy mascarpone filling with bits of lemon zest is the perfect balance to the fresh juicy figs. For this recipe you really only need a handful of ingredients: pie crust (I don't mind store bought pie crust), mascarpone, heavy whipping cream, sugar, vanilla, lemon zest and fresh figs. Hello easy street! Also, this is one of those desserts you wanna take to a dinner party or somewhere you can really show it off. After all, it looks SO fancy! As always-I am not a food photographer even though I wish I was. Will someone teach me in exchange for pies? To make the filling: combine the mascarpone, powdered sugar, vanilla and lemon zest in a small bowl and mix until smooth. Set aside. Into a bowl, pour the heavy cream and using an electric mixer, mix on medium speed. Mix for 2-4 minutes until billowy and fluffy and stiff peaks form. Carefully fold in the mascarpone mixture and then spread mixture evenly into pie crust. Top with fresh figs. Serve pie with fresh figs so each slice gets plenty of fruit and enjoy!